The initial toll would be set at 17 cents per mile for trucks and 11 cents per mile for other drivers, but is subject to increases. (emphasis mine) Toll amounts on trucks and through traffic would be cut in half between 9 p.m. and 6 a.m. People living in and outside of Virginia could purchase an annual pass, which is likely to cost $25 to $30. The legislation states that the annual pass cannot exceed the cost of a full-length round-trip using the per-mile toll . Passes will not be offered to trucks. Obenshain said he believes the scheme will provide less incentive for people to avoid tolls by driving instead on U.S. 11, which parallels I-81. However, he said there will be video monitoring systems to identify and penalize vehicles that exit and re-enter I-81 in order to avoid tolls. 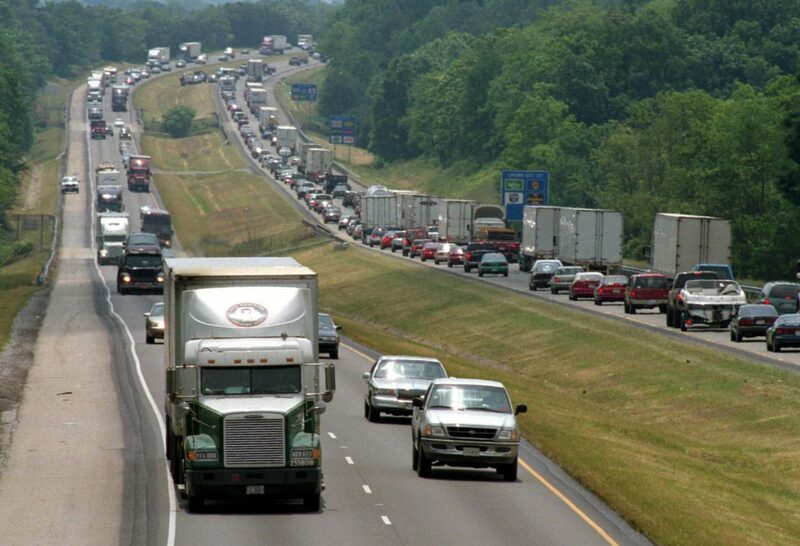 A Virginia Department of Transportation study on I-81 identified $2 billion in upgrades. It recommended tolls as well as increasing sales and use taxes and motor fuels taxes as options to pay for improvements. Obenshain authored the legislation that set that VDOT study in motion. More on the proposed tolls here and here.